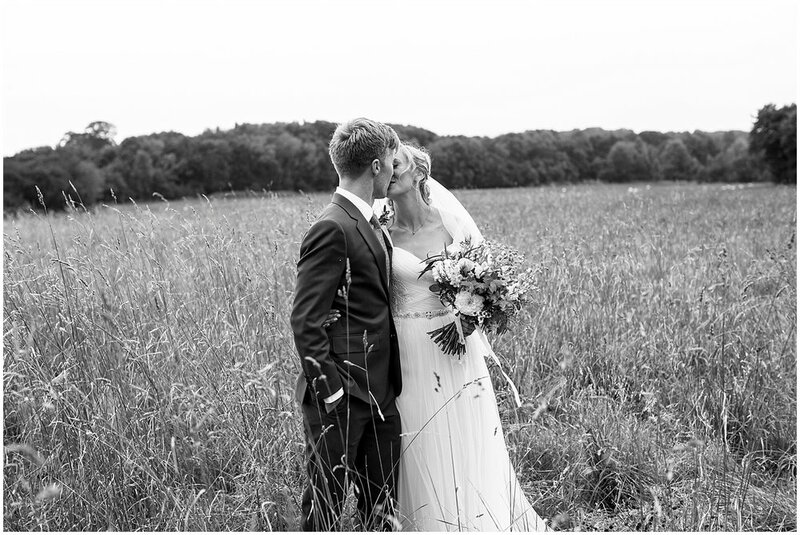 Outdoor weddings are where my heart lies and the glade at Hawthbush Farm is one of my favourite places. The morning of their wedding was a busy one, grappling with meters and meters of fishing wire up a ladder to create a flower backdrop for their ceremony. Georgia and her sisters wanted to do the reception flowers and they spent an afternoon with me in the workshop learning what to do. On the week of their wedding, I delivered buckets of locally grown flowers to the venue and they did an amazing job putting them all together. I just wanted to write and say a massive thank you for the flowers on Saturday. 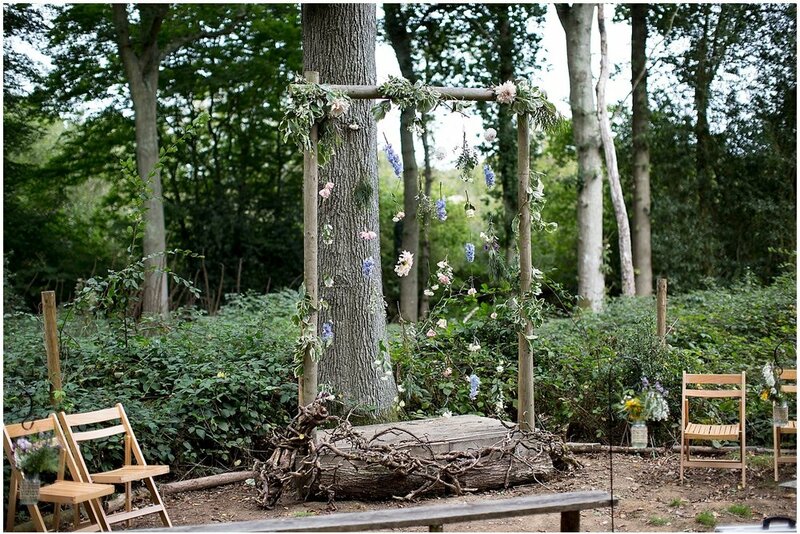 You went above and beyond with the glade and it was transformed! I adored my bouquet, it was absolutely perfect. So beautiful, fresh and pretty.